Lana Webb showed a cute quilt she called, Hector’s quilt. The back is cute too ! Lana also shows a bag she made for her daughter-in-law, and a turquoise bag for herself. 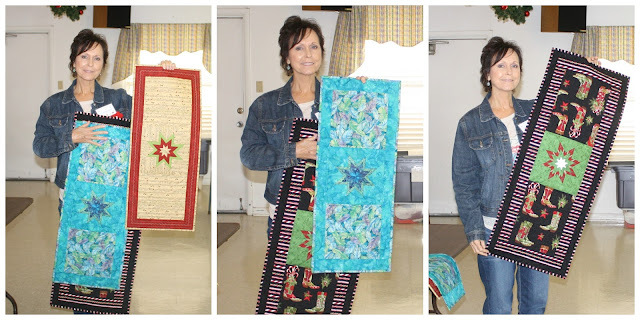 Vickie Mazurek shows 3 of the 12 folded star table runners she's made for gifts. 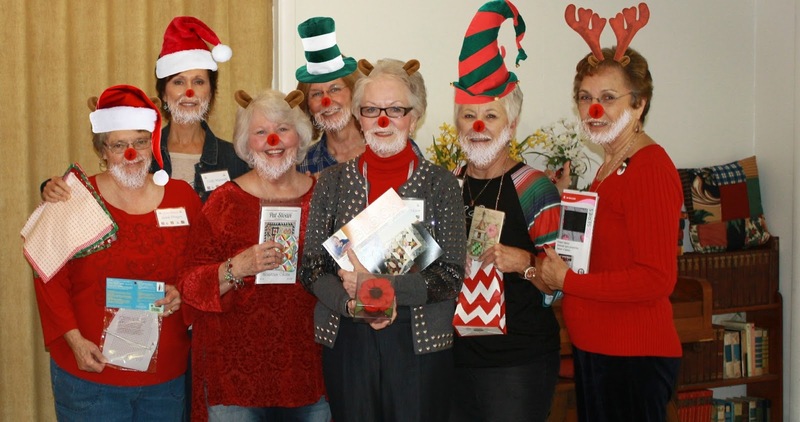 At last month's program Charlene Cortez taught guild members how to make them. Becky Martin also shows the folded star table runner she completed. Latrelle Locks shared a 1930’s signature quilt made by her grandmother that was recently found in a trunk. She made grandson Cruz a “guy apron” for Christmas. Wanda Jackson shared a Christmas quilt she hand embroidered. She got her patterns from a coloring book. Vice President Jeanie Ortegon presented President Lana Webb with a gift certificate. We truly appreciate her dedication to the guild. Then it was time to party !